The average price for this game in the past 6 months is $12.52. The game first became 50% off on Feb 9, 2017 at GamersGate. Lowest historic price was $10.82 on Mar 1, 2019 at Green Man Gaming. Dishonored 2 is being slashed to $12.89 at DLGamer this week. Beats the $20.07 at GMG and was $19.99 during the Steam Summer sale. If you've never picked up Dishonored 2, the game is now at its lowest ever price at DLGamer during the long running Bethesda sale that's jumping from one retailer to the next. Last previous low was $15, so this is a another deeper discount. Steam key. Looks like under $20 is the default price for Dishonored 2 these days at GamesPlanet's latest discount brings the Bethesda title down to $17. If you're thinking of playing Death of the Outsider - it may be a good idea to pick up the 2nd installment first. Dishonored 2 is being slashed to $15.89 at DLGamer this week. Beats the $16.16 at GamersGate and the $20 at GMG - both good but now beaten deals. Was $19.99 during the Steam Summer sale. Missed the $20 deal on Dishonored 2 during Steam Summer Sale? Budget or backlog didn't allow for it? No worries, the same deal is back again at GMG's giant Summer Sale. Steam key, instant delivery. The average price for this game in the past 6 months is $12.40. The game first became 50% off on Dec 7, 2017 at Microsoft. Lowest historic price was $11.60 on Aug 7, 2018 at GamesPlanet. Physical copy of Dishonored: Death of the Outsider is now only $15, a new historic low price with free shipping. This matches the lowest ever price for the digital copy as well for the September released conclusion to the Dishonored trilogy. All platform copies of Death of the Outsider is now only $20 flat at Best Buy. It's a shame the Dishonored series has been relegated to this status due to the 2nd installment's sales performance, but that's the industry climate these days. If you're not a blockbuster, you don't deserve a full-fledged trilogy. Extra 20% off if you have GCU. Flash sale at GMG brings Dishonored: Death of the Outsider to 25% off for a limited time (ends tomorrow morning). The final installment to the Dishonored series is well received by fans, though its a bit on the short side. At $30 its a harder sell, but at $22 it's not a bad pick-up for fans of the series. Now released! Dishonored: Death of the Outsider is the last standalone installment in the Dishonored series. Clocked in at about 8 hours gameplay (without playing through all two characters/non-lethal route) - it's a worthwhile pickup for fans of the series. Steam key. Dishonored: Death of the Outsider dropping under $23 for the second time ever as a pre-order now at GMG. Requires an August themed voucher code to be added at checkout and for you to be a VIP member (anyone with a basic account at GMG is a VIP member). Visit this page and scroll down for "Extra 15% off Bethesda Black Friday Deals"
The average price for this game in the past 6 months is $27.37. The game first became 50% off on Nov 22, 2017 at Steam Store. Lowest historic price was $26.75 on Dec 24, 2018 at Green Man Gaming. The average price for this game in the past 6 months is $15.00. The game first became 50% off on Nov 22, 2017 at Microsoft. Lowest historic price was $14.98 on Feb 20, 2018 at NewEgg. September's release of Dishonored: Death of Outsider is now at a new historic low price of only $15 for the digital download copy. The Complete Edition with all three games is also on tap for $32, but we think you're betting off buying separately if you want to give the series a try (starting with a dirt cheap used copy of Dishonored from any retailer). The average price for this game in the past 6 months is $14.10. The game first became 50% off on Dec 16, 2016 at NewEgg. Lowest historic price was $12 on Nov 22, 2017 at Microsoft. Lowest price ever for Dishonored 2 on Xbox One. Previous low was $28 last week. PS4 version is also on sale for $22.49 with same coupon. November 2016 released Dishonored 2 getting its first price drop this Thanksgiving... and it's a mighty impressive one. A 2 week old and well reviewed game drops from $60 to $35. Solid 42% off. The average price for this game in the past 6 months is $13.19. The game first became 50% off on Dec 16, 2016 at NewEgg. Lowest historic price was $14.98 on Feb 20, 2018 at NewEgg. New low on Dishonored 2 for the PS4 and Xbox One with a coupon discount at NewEgg. While you'll see $20 at checkout, you'll also see a sneaky $3 shipping charge, so more like a $23 purchase. Even with shipping a new low by $2. Dishonored 2 on the PS4 and Xbox One down to a mere $25 at NewEgg. New low even if there's $3 shipping fee. Dishonored 2 on the PS4 and Xbox one down to $30 at GameStop hitting its all-time low. The 88/100 score on Metacritic suggests you can't go too wrong. The average price for this game since released is $17.79. The game first became 50% off on Nov 21, 2017 at GameFly. 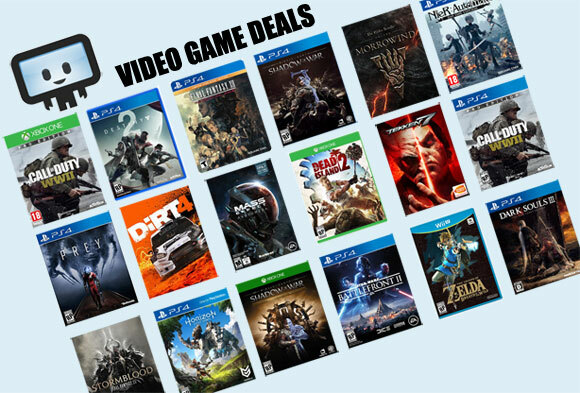 Lowest historic price was $12.99 on Nov 21, 2017 at GameFly. Awesome deal on Dishonored: Death of the Outsider from GameStop as the new release is already 33% off. That's pretty quick considering the game received relatively decent review. Long story short, Dishonored 2 didn't sell as expected so the shorten trilogy follow suit with lower marketing and now we're seeing big price cut just a month after release.